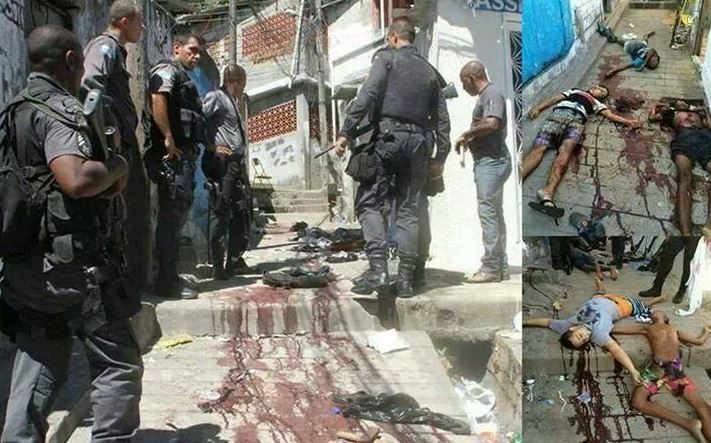 On Facebook a picture has gone viral titled ‘Street kids murdered to clean up Brazil ahead of the World Cup’. The message claims that the picture has been made in Brazil, right after the Brazilian police shot multiple kids in the favelas. As the World Cup is going to take place soon, a lot of media and attention is being given to Brazil. The ‘Street kids murdered to clean up Brazil’ picture is one of the shocking things that are taking place in the Brazilian favelas. Earlier we published a report on how Brazilian soccer fans are armed with AK47’s. It was not long ago that hackers were able to hack the FIFA world cup website. The hackers defaced the website and left a message for the visitors of the FIFA world cup website. Be aware, as the FIFA world cup will be an exclusive chance for cybercriminals to infect unaware people.